Successful companies know that customer retention is the name of the business game. Here’s a statistic that should give you incentive: “A 5% increase in retention yields profit increases of 25% to 95%” (Source: Bain & Co. 1990). It’s not what you do the first time that counts. It’s what your company does consistently over and over again. Spend time examining current practices. Fix what isn’t working. 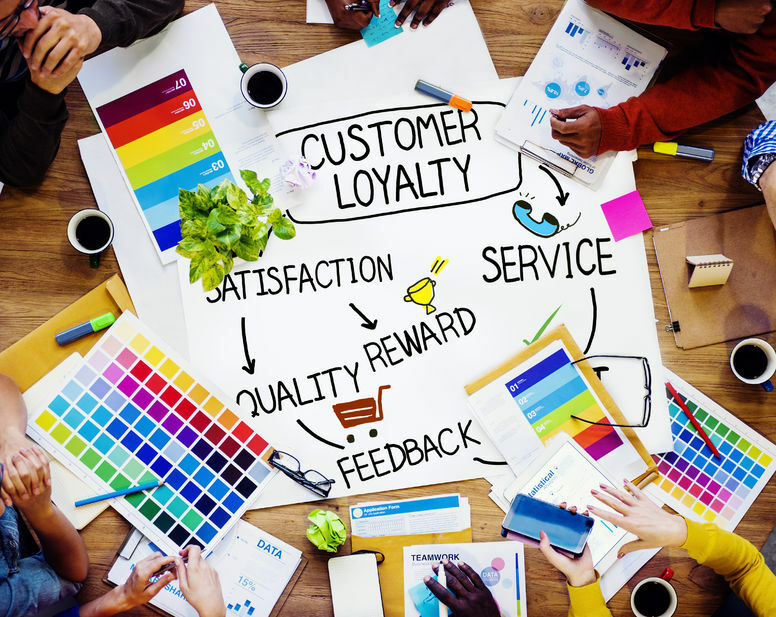 Plan and build loyalty programs that give your customers the same great level of service each time, and are simple to implement, delivered consistently, and highly personalized. Hire friendly people that are relationship builders. Train everyone to believe that every customer is important. Customers will come back to your business if the staff member remembers them, smiles and cares about them as a person. Do you have a favourite restaurant that you return to regularly where you are always remembered? Isn’t this what you want for your business? Build loyalty among your staff. Pay fairly and reward for excellent performance. If you are hesitating on paying great staff, remind yourself of the cost of getting new customers into your business in the first place. Ramp up the company complaint response time. I see this all the time. If there is a complaint, it doesn’t get dealt with right away. The customer’s annoyance escalates and by the time the chain of command gets back to them, the anger and the situation are out of control. Empower everyone in customer service to make people happy. Deal with the processes after the complaint is resolved, not during. Reward and appreciate your customers. Thank them for referrals and for coming back. Create programs that track referrals and traffic. Know who your raving fans are and never forget them.